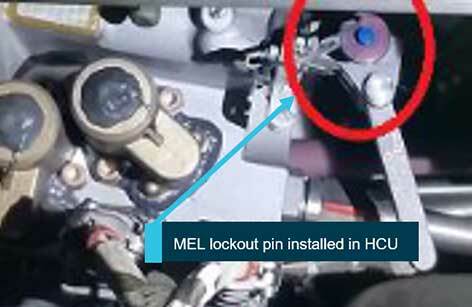 A lock-out pin was not removed after aircraft maintenance. This meant that the crew of an Airbus A320 landed at Sydney with reverse thrust inadvertently deactivated. An ATSB (Australian Transport Safety Board) investigation found that a maintenance team had deviated from procedures, likely due to operational pressure. An Airbus A320, VH-VGZ, operated by Jetstar, departed Brisbane Airport, Queensland, on a scheduled passenger flight to Sydney, New South Wales, with six crew members and 178 passengers on board. During the landing roll, the flight crew selected both engines to “reverse thrust” and received an Electronic Centralized Aircraft Monitor (ECAM) “reverse fault.” The captain called, “No reverse,” and the first officer completed the landing, with normal braking. The flight crew taxied the aircraft off the runway at the planned exit. The captain later recalled that, during the preflight checks, he had not observed any indications on the engine cowls, in the cockpit, or on the technical log to show that the thrust reversers were deactivated. Prior to the incident, the aircraft had undergone a three-day maintenance check at a facility in Brisbane. Two days in, the engineers identified that the horizontal stabilizer actuator required replacement, which added a half-day of work to the schedule. To recover the lost time, the team was scheduled to begin work at 1:00 a.m. the following day. The aircraft departure time was moved up, and the engineers were instructed to complete the maintenance by the end of the first shift. Many of the engineers worked through lunch breaks to ensure they could complete the maintenance on time. While working under the compressed schedule, engineers deviated from the written procedures, and the incorrect lockout pin was installed and not removed later. As a result, the aircraft was returned to service with the thrust reverser system inadvertently deactivated. 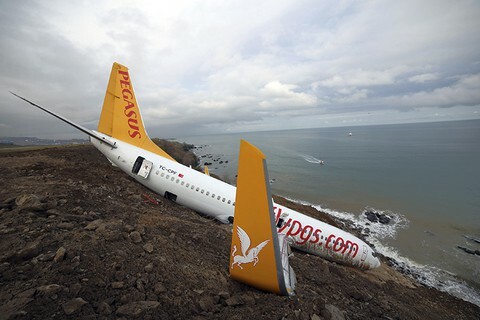 There was no damage to the aircraft, nor any injuries, as a result of this incident. Following the incident, an engineering inspection revealed that the thrust reversers were in the deactivated position, with the minimum equipment list (MEL) lockout pin installed. The lockout pins were removed from each of the engines, thrust reversers were tested and found to be serviceable, and the aircraft was returned to service. This investigation underscores that functional checks are the last line of defense in maintenance work. Failure to follow procedures—such as functional checks—can result in unintended consequences. Additionally, it is imperative that aircraft maintenance engineers feel empowered to stop a process when they observe procedural violations or foresee that an error is likely to occur. Learn more about the incident and investigation as published in the March 22, 2019, updated ATSB investigation report: Undetected engine thrust reverser deactivation involving Airbus A320, VH-VGZ, Sydney Airport, NSW, on 20 September 2018. Register for one of our COURSES. We offer a basic 2-DAY COURSE and an advanced 5-DAY COURSE. CONTACT US or call 865.539.2139 about having a course at your site or for further root cause analysis opportunities. We’re here to find solutions for you.